Tempt My Tummy Tuesday….Your Best Thanksgiving Ever! I am SO excited this week! I am doing things a little different today. I want to tell you about a wonderful eBook written by my dear friend Tara Ziegmont from Feels Like Home blog. She has put together tips, hints, recipes and organizational planning to help you have Your Best Thanksgiving Ever! Whether you have a lot of cooking experience or none at all, you will be able to follow Tara’s instructions, plan, and host a relaxed, traditional, Thanksgiving dinner. The recipes are fabulous, as she is a superb cook. But, the tips to plan, organize and follow through to give your family and friends the best Thanksgiving ever is priceless. Your Best Thanksgiving Ever! truly has everything you need to take the stress out of what should be a special time. Tara was not always the expert planner. She shares her major “fail” moments when she first began hosting all her family for Thanksgiving, such as the time she set the kitchen on fire, as well as the year the oven broke while cooking the Thanksgiving feast. We benefit from her past mistakes because they helped her learn how to correctly plan and execute the best Thanksgiving possible. Tara gives you a step by step plan which starts a month in advance of Thanksgiving. So – you need to get this eBook today! No time like the present to start planning! Included in the eBook are wonderful recipes including several I have never thought to cook, but will love making for my family. Tara even includes your shopping list! I am telling you, there is nothing she has left out. Your Best Thanksgiving Ever! is $14.50. However, I am pleased to tell you Tara is offering Blessed With Grace reader’s a $5 discount when you purchase the eBook! When ordering your eBook use coupon code GRACE5 and your payment will only be $9.50 with your $5 discount!!! What an incredible deal!!! I hope you will check out the eBook and make the purchase. You may already be a great Thanksgiving hostess. Good for you. But, for $9.50 you can get some great advice and tips to become an even better hostess. I encourage you to do so. I was blown away by all the great tip and ideas given by Tara. This is a worth while purchase if you plan to host your own Thanksgiving this year, or in years to come! CLICK HERE TO VIEW MORE DETAILS ! And, remember to use coupon code GRACE5 for a $5 discount! I would hate for you to miss out! Now for today’s recipe. 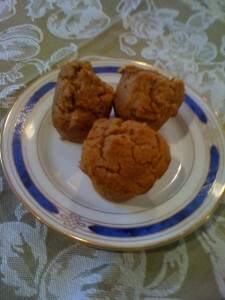 In keeping with the Thanksgiving theme, here is a super simple recipe for pumpkin spice muffins. They would be perfect to serve your house guests on Thanksgiving morning. I shared this recipe in the past, but had to share it again – because they are so good! I made these muffins this week and we have enjoyed them for several days! Now, let me tell you it is a dense batter and my muffins were not very pretty – but OH BOY, they are mighty tasty, and moist! Now it is your turn. Link up your recipe below. And don’t forget to buy your copy of Your Best Thanksgiving Ever! use coupon code GRACE5 for a $5 discount! The E-Book sounds great and your muffins look very good. Hope you have a wonderful week and thanks for hosting! Sounds like a great book! 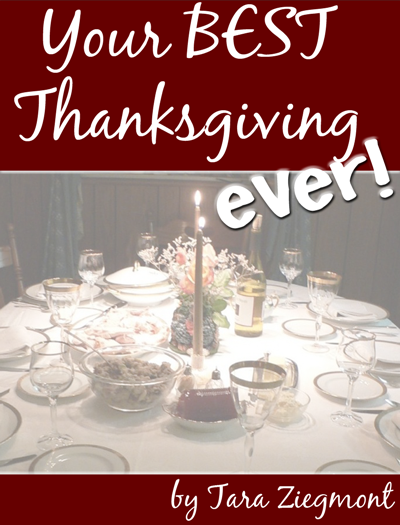 I enjoy hosting Thanksgiving at my house – my fave holiday! Thanks for hosting all the deliciousness! Looks like a great book. Our Canadian Thanksgiving is long gone. Sometimes I wish it was at the same time as the US….not sure why is it so different. Thank you so much for hosting this yummy linky. Hi Lisa, thanks for hosting. Stop on by to enter my first giveaway if you get a chance! Wow! 2 ingredients and 2 WW points! Now that’s a winner! I’m so with you about things tasting good and not necessarily looking pretty. This is why I don’t worry so much about cake decorating. My priority is in the taste. I think you’ve got the right of it! Those muffins sound so good. And I love super easy recipes like that. I’ve got to try those with a gluten free cake mix. Thanks for hosting! Great ebook offer! Love your muffin, they look delicious! Thank you for hosting I shared Cast Iron Skillet Pumpkin Cornbread Cake. I’d love for you to share on Thursday’s Treasures. <3 and Hugs! Bring on the Thanksgiving goodies!! Thanks for hosting! Darn I missed linking up to this! I’d LOVE for you to come link up this book in my Holiday Tips, Crafts & Recipes post. What a neat Thanksgiving book! Probiotic Pumpkin-Cran Smoothie | Christian Mommy Blogger.